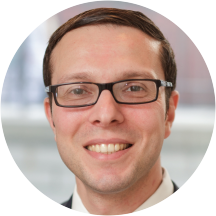 Dr. Steven Naymagon is a gastroenterologist in New York City and is Assistant Professor of Clinical Medicine at The Mount Sinai Medical Center. He received his medical degree from Mount Sinai School of Medicine and completed training in internal medicine and gastroenterology at the Mount Sinai Hospital. He has published several articles in top medical journals and is actively involved in clinical research and the education of medical students and residents. He is a member of the American College of Gastroenterology, the American Gastroenterological Association and the Crohn's and Colitis Foundation of America. Great thoughtful doctor and a very nice office. I was very grateful to be seen by this very professional, attentive & thorough physician. He gave me clear follow up instructions. The office staff was also very accommodating. He is a very good doctor. I really recommend him. He is young. You can tell he is very serious about his profession and also he is very knowledgeable. The only thing that I'll ask him is don't to answer textmessages during our conversation. He did it only once and very quickly. So there is no reason to complain very much. I'm sure I founded an extraordinary doctor for me to deal with GERD and general medical issues. He was very professional, knowledgeable and kind. His staff were also very accommodating and welcoming. I’d recommend him to my friends. Dr. Naymagon is really nice and reassuring, and is extremely professional. He took the time to explain me perfectly everything. I highly recommend him. Dr. Nymangon gave me a prescription for a procedure to be done at a radiology lab that they were affiliated with refusing to allow me to get it at a reputable lab where the results could be trusted. I will notreturn to any doctor /doctor's office whose financial gains far exceed the health gains of the patient. Very kind, and really nice staff too. Dr. Naymagon was very attentive and seemed to genuinely care about my concerns. I would definitely recommend him. Excellent doctor. Very thorough and very knowledgeable. Knows his stuff. Seems to care about his job. Was able to get in the same day thru ZocDoc which required a fair amount of internet activity but on the other hand, no other medical specialist in this area was available through my existing doctors. Dr. Naymagon was polite, veryefficient, ran some tests, got me in for cat scans the same afternoon, & had the problem diagnosed with medications and follow up treatment prescribed the same day as well as well as followed this all up with a phone call later in the day. I would certainly recommend him to anyone who required this kind of medical attention on short notice or even over a longer period. Consistently pleased with Dr. Naymagon. In a word - Excellent! He was very kind and thorough. He really seemed very interested in getting to the root of the health problems I am experiencing. It sounds strange to say - "it's a pleasure going to the Doctors" - but really, it is. The reception staff are always pleasant. The atmosphere is friendly yet business like and Dr. Naymagon has the perfect manner - interested, knowledgableand understanding. I've lived in many cities which has meant a change of Dr. as I've moved and I've never been happier than now. Always a pleasure. Thoughtful and patient with first class manners. He's just great. More on the shy side but completely competent and he listens. Been around many dicots in the city and he listened. This was my first visit. The reception staff and nurse were pleasant and helpful and Dr. Naymagon was thorough, courteous, clear and helpful. So, once again, I'd hurt myself playing hockey, and was thus freaking out about the possibility of a slipped/herniated disc or some such. I made an appointment for the earliest time available, requesting that, if at all possible, I be movedup on the docket (so's I could get to work not horrifically late, etc.). This was a shot in the dark, I figured... But no! Dr. Naymagon got back to me to tell me that he could see me a half-hour earlier than the appointment I'd booked — and then wound up seeing me even earlier than that. Pretty much as soon as I arrived, in fact. The only downside was that it was blazing hot out and I hadn't stopped sweating by the time I was seen (gross). But that's a minor quibble. Highly recommended. Great office, nice staff, terrific doc. I think the doctor himself was great. You can tell he's a little new to the medical profession but does make it a point to exhibit extreme professionalism and courtesy, and extensively talk to patients about what going on and whatthe best course of treatment would me. I also have to say that one of the nurses who came in to do my blood work was amazing and totally put me at ease. My only complaint is that upon entering the office it would be great if patients were properly greeted by reception staff and spoken to, "Hi how are you today" vs getting someone who is on their phone. There was one young lady who was a tad abrasive and less than pleasant as I interacted with her. Other than that I would say that my visit was a good one and I'm happy I was able to be seen on such short notice. Dr. Naymagon was very thorough in examining me and taking my medical history. He kept me informed on what he as doing and how my treatment would proceed. I did not feel rushed at any point. He was very responsive to any questions or concerns that I had. One of the best experiences I've had at the doctor! Great bedside manner, thorough and personable. I was feeling better in a few days! Dr. Steven Naymagon, MD has no appointments on Zocdoc right now.